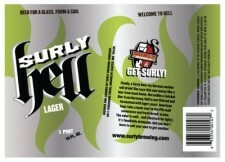 From Surly – Finally, a Surly beer my German mother will drink. She says this one tastes like a bier from back home. Not unlike a Zwickel Bier from Germany, Hell is our filtered and fermented with lager yeast, American hops takes a back seat to the Pils malt sweetness and fresh bread aroma. The color is well… hell (Deutsch for light). 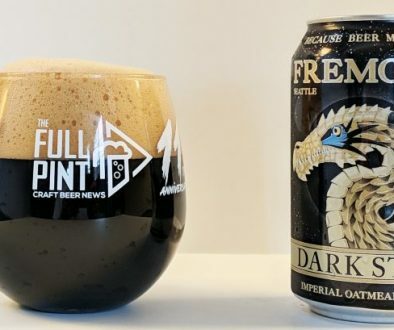 It’s fiendishly drinkable, and you don’t have to sell your soul to get another. 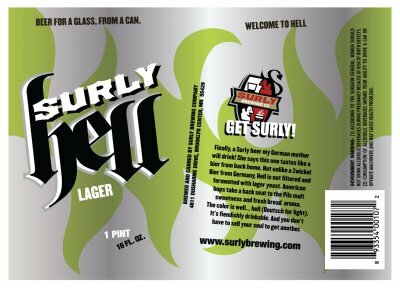 Surly Brewing – Surly Hell – 16 oz. can poured into a pint glass. 4.5% abv. Appearance: Pours a hazy yellow gold with a white head that subsides to a 1/8 inch cap. Aroma: Biscuity malt, wet husk, grassy hops. Taste: Pale breaddy malt, mild hop spice. Low but pronounced bitterness and not much malt sweetness. 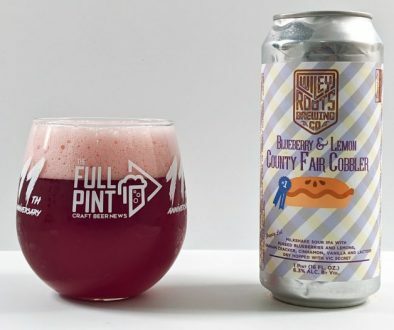 Mouthfeel: Medium bodied. Average carbonation. 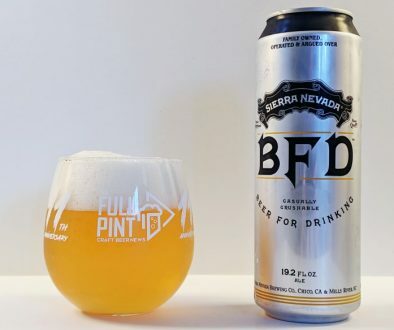 Overall: Plenty of flavor and tons of character for this 4.5% craft lager. I love it.